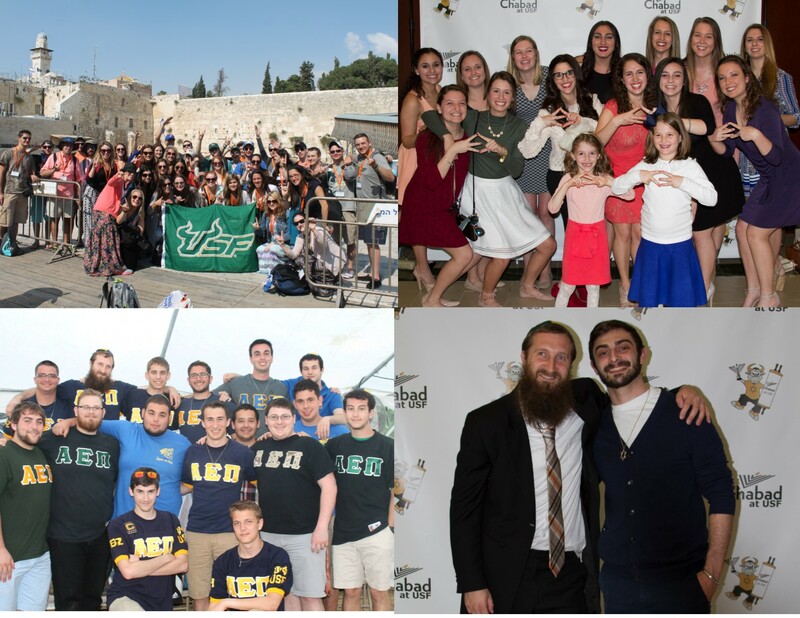 Just last month Chabad made history, by hosting over 200 students for our big Unity Shabbat on campus! Preparations are in full swing for Passover. Many students will not be able to travel home to join their family for Seders this year, as finals are a week after Passover, so here at Chabad, we are working tirelessly to provide a family style Seder for hundreds of students with that home-cooked brisket, hand-made Shmurah Matza, Kugels and more. We will also be providing hot-meals for students throughout the entire week of Passover (it’s hard to only snack on Macaroons for 8 days). 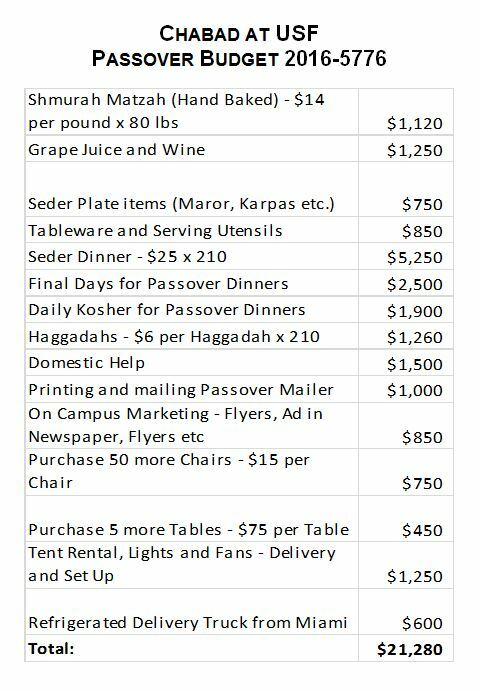 Our Passover budget is $21,280, we are not supported by any organization, and all funds are raised from generous parents and alumni that appreciate the work we are doing here at USF for the continuity of Jewish life. Please dig deep and make your tax-deductible donation so every Jewish student will have a home to celebrate throughout the entire 8 days of Passover. Wishing you a Happy & Kosher Passover! The Savell Family wishes Morgan and her fellow USF students a Happy Passover. Go Bulls!